Cabin kits and design plans are making it easier than ever for people to build their country dream homes. Design plans are perfect for people with basic carpentry skills who want to construct their own cabin but don't know where to start. The best part about building a cabin yourself? You are able to keep costs very low. For example, you can build this cozy A-frame for only $6,050 if you follow builder Steve Maxwell's instructions. Maxwell is the author of Build This Cozy Cabin, a book that details cabin building plans, tips for successful construction and common challenges associated with building this particular one-room cabin. Maxwell's beautiful getaway is 14-by-20 feet, with a traditional A-frame roof, spacious inside room and an adorable porch. Above the porch is also a convenient sleeping loft. The building plans show where each specific board should be placed and provide instructions on which order all of the different components should be built in. While a specific floor plan is provided, there is still plenty of room for cabin customization within the building process. Everything from landscaping to the type of windows and doors is up to the home builder. While Maxwell states that his book won't replace a willingness to invest lots of time and energy, it will teach people how to build for the long haul and avoid common hurdles. Many of his tips also apply to building garages or sheds, so it's a good read for any DIY-lover. 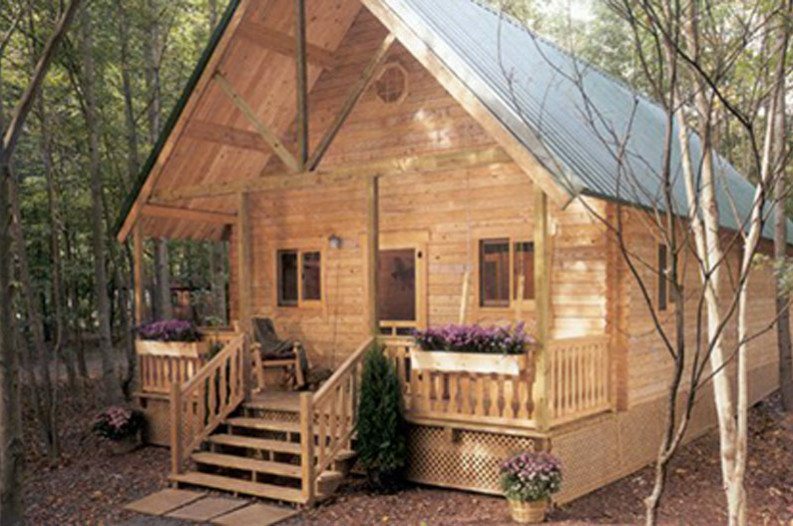 To learn more about these building plans and Build This Cozy Cabin, click here.